Waking up early this morning. Feeling fresh and refreshed. It has been a good night. One in which I woke up only once to go to the bathroom( that is a big plus for me). For the computer, internet and wi-fi that are available 24 hours a day and let me have a virtual world apart from the real world. The virtual world helps me escape from reality for a good while. For ability to get access to books that help me improve my knowledge of things I thought I knew but actually didn’t and new things I learn every day. For recipes I am learning, creating and perfecting through these readings. For lowered blood sugars and blood pressure readings and the joy of seeing my husband happy and relaxed. The blessing of seeing this can’t be described in words. I never imagined my life to be so run by the happiness of another person but it is so, it has come to be so after 25 years of being in another person’s life. It comes to me that I have lived more years with this one person than with my parents. For 20 hungry cats that wait at my door each morning and evening and sometimes just hungry for a pat or a word from my mouth( I talk to animals). For each day I have with them though the thought that they won’t be much longer with me does bother me, I am determined to live in the moment. For a supervisor who has cooled down and is able to take time off from her worries and enjoy life at work. Her happiness transfers to us too and it is a blessing not to hear the tap of her shoes on the stone floors outside our rooms as she runs to get things done. For the slower pace of things this summer. For the ability to look at the better side of things at least when it involves others. I am trying to incorporate this in my life too. For smiles- for the smiles I see each day, for the smiles that remain in the world still. For people who give their smiles freely still. For people who don’t expect anything in return. For smart world leaders who do their job in their own characteristic way in spite of all the obstacles in their way. For the leader of a certain party who went out of his way to give a bear hug to his bitter critic opponent in parliament and who is ridiculed for it- for his guts to do so and not to keep grudges. For two legs that allow me to walk at will and that are under my control. I need to appreciate this ability more when I have them rather than wait for when I don’t. For eyes that see and ears that hear and a skin that heals fast even when injured. For a body that keeps me in one piece despite all the injuries I inflict on it. It is a slow Sunday again. I am up at 2 am probably because of my diet which makes me very active, very early. Carbohydrate intolerance and insulin resistance- two words commonly thrown around these days. Research seems to show that almost all of the metabolic diseases are attributable to insulin resistance probably stemming from deposition of fat in the liver and cycles of highs and lows through years of consuming more sugars/starches than necessary. High blood pressure, edema around ankles, blood sugars, gout, fatty liver, gall stones, insulin resistance are all supposedly related to this. Last week, my husband had high blood sugars( post prandial above 200 mg/dL),which led to a minor panic situation here. He agreed to go zero carb too to see if that would help . So starting two days back, the two of us are on the low carb diet. Day 1 was tough as it involved 24 hour fast. For most of us who have never fasted, completely giving up food is unthinkable. It was the same for him. I have done it before, so I fasted with him. Probably because I have more to lose than him and probably because I have done it before, it was a lot easier for me than him. At hour 18, he almost gave up as he was seeing stars, had a headache and felt horrible. At this time, he broke his fast and indulged in some cheese and olives. Then he continued for the rest of the 6 hours and called it an almost 24- hour fast. Day 2 was four meals of only vegetables. This was a difficult proposition- most of our bodies are conditioned to automatically reach out for sugars and something starchy throughout the day. Fruits, even healthy ones, were out. The better half confessed that he had been snacking through the day even while at work When food is found all around you, what does one do when he is hungry ? Eat. And that is what he had been doing. Day 2 helped him and me realize that though he often said, he hadn’t eaten anything since our hearty breakfast, in actuality he was eating sugars. Day 2 cleared successfully for both him and me. Day 3- today we can add protein back to the diet. For two meals, lets see how it goes. Monday is the day set apart for being grateful. Honestly this morning I am not finding many things to be grateful about but let me try. Let me see what makes me grouchy first this morning. Grateful for the Air Conditioning in the house for without it and the power supply we would not be able to live in arid conditions. Thank you. For family that has returned safe after more than a week of busy travel and activity. For the Thai boys who got rescued last night from the cave and for the remaining 8 boys who are still alive. For the cool wind that brought cooler weather in some parts of the world and did not bring harm. Oh, now that I am counting, there seem to be so many. For a friend who is busy at work but still writing and I know she is well somewhere. For the guts to face up to someone I needed to forgive. For sleep and hunger that plague me through the day. There are many people who do not feel these basic instincts of life. I am often not grateful for my hunger for food and cravings for crunchy stuff. I am grateful that I seem to have gotten over my sugar cravings. For a sister who works hard at work and at home with her children and her ill health. She has been looking after my husband and children every time they visited her city over the past two months. For the woman at the visa counter because she set me off on an alternate path of life, one that I never thought I would be going on this July. For new times and new experiences. For a spare car that in spite of my car being silent and still in the garage works well and takes me in comfort to work. For the chapel service that went well last night – that elder daughter sang in the choir for- it was her first experience singing in a choir and for appreciation. For the younger daughter who was kept safe through weeks of travel back and forth to the home country and the church service she attended here yesterday. For peaceful times at home and the cats outside. For peaceful neighbors who live their lives quietly. For a neighbour girl who put on 5 kilos of weight after a battle with extreme starvation. It made me happy to see her almost like her old self yesterday. I hope she gains her body image back- is that the correct way of putting it ? For the monthly times for both my girls. I have come to appreciate this with their lives as they have often missed these cycles in their lives but this year, seems to have brought regularity in their rhythms. For the change in mood from when I started this post, that I don’t want to write what was bothering me at the beginning of this writing. Thank you for this day and for the challenges this day will bring. A story starter · About me · Adolescents · Animals · As a Mamma · Awaiting the weekend · Being honest · Book Reading · Cats · Choices · Co workers · Commitment · Cornerstone · Daily post · Diet · Education · Fasting · Food · Goal setting · History · Keto · Obese · Overweight · Shopping · Speaking one's mind · Teenagers · Thursday · Weight loss · Who I am- knowing my inner self · Why do such things happen to me ? Its been two weeks since that day. My shock day for 2018, I am going to call it. Where I pummeled down to the lowest a man can go. I have stopped thinking over it. Today I met my supervisor who is back from holiday. Meeting her would, I thought, be embarrassing. I was losing sleep over it. I had said all my byes and said, enough and all that and then now I am eating humble pie. 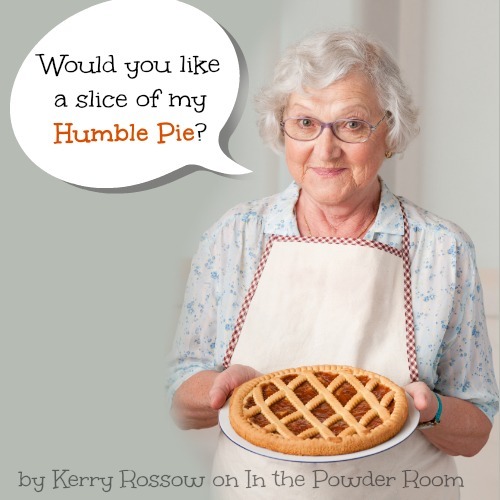 Life seems to be about eating humble pie often. It just goes to show where man thinks he/she is and that that position is not at all stable. It is perhaps better not to soar too high, so the fall is not too great. Arrogance – I must have been arrogant or I would not feel like I am eating humble pie, right? Well, it is a lesson, well learned. The meeting with the supervisor was not too bad. She seems happy to have me back. I am grateful for the money from the job. I am grateful for the freedom of spending again but of course, I wish life had taken a different course. In a way I am glad, I am here, yet, to support my family while they are making changes in their lives but when I get an email from my college- I still call it that, there is a certain wistful thinking, of things that might have been. Maybe older women are not meant to study and are just meant to mind the hearth. 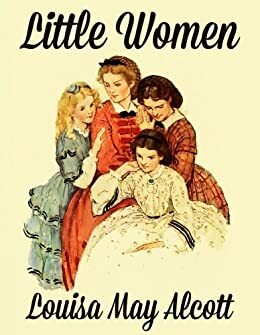 I feel like Jo of Little Women when she returned from the boarding house home and found that everything looked the same but nothing satisfied. For the past two months( since April), my diet and watching over my weight has all gone for a toss. With daughter 2’s exams looming on the horizon and the family predicting doom about her admissions, it took all of my positive spirits and bucking up to keep things up. Exams done, she did well, she secured admissions to good colleges but the midnight oil that burned during the process and the sleepless nights, the leptin and the increased, never-ending appetite and the eternal hunger pangs and the consolation, albeit temporary from eating food, even icecreams( which I have never even liked since childhood) and sweets( which I haven’t eaten since 2004), all goes to show how much of a toll the constant pushing of my limits was taking on me. I have not been taking care of myself. I didn’t care anymore. I didn’t. Really, I mean, what is the point of living so long anyway? If I eat well and exercise and look well, what is the point? At some time, I am sure to get some lifestyle disease or some cancer or something else. See my thoughts. 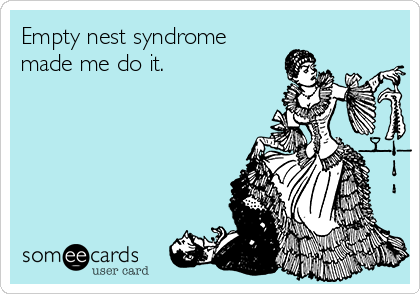 There was no rhyme or reason to them- was it the beginning of the empty nest syndrome? Anyway, the thing is, this week, I have taken time to read and write and look well- put makeup on. I know makeup makes me look, well, made up and I am someone who loves the natural, no make up look. Still, I did some blackening of my eyes, some color on my face, smoothening up some holes, dental work, and hair care. I have rubbed lotions and oils on my body and put vitamin E cream on my face. This last because there was a tube of this very expensive cream lying on my dresser, I had never used before but must have bought some time in a trance and never used. The day after using the cream, I looked at my face and it looked different. By that time, I had forgotten I had done something to my face the previous night( applying the cream). My face shone like it used to when I was younger. Suddenly it struck me that I had rubbed some of that cream last night on my face. So the second night in a row, I applied some more of it on my face. Today, this morning, I looked at my face, and I notice, my face shining. This cream seems to be working on my menopausal skin. This seems to be a good time to take care of me. No family, plenty of time, only my cat to take care of. Well, the point of this post – at last. I am going to do the keto diet- this diet seemingly works for me as I am not very fond of carbohydrates anyway and can eat all I want of fats, what is not to like? It is a 24 hour fast today- only lemon water, black coffee, tea allowed. This is a detox to get rid of all the sugars in my body.